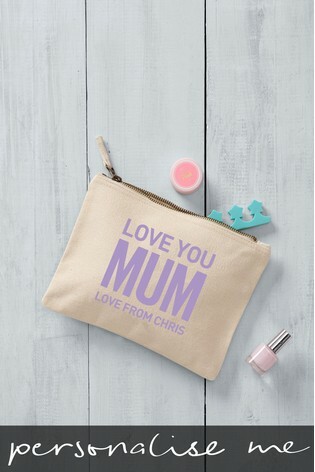 Personalise this cosmetic bag for your mum and show her how much you love her. Personalised version of our Just Pink perfume. Fresh and floral. A fresh green floral fragrance with soft fruits and pink blooms. Feminine and pretty, Just Pink will make you feel confident and uplifted through its beautiful blend of soft fruity mandarin, green florals and pink blooming jasmine cushioned by patchouli and musks. Mandarin oil transports you to Southern Italian with its fruity sparkle and vibrancy. Mandarin has been highly prized throughout history and is loved for its joyful effect. Alluring and sensual Jasmine is adored throughout the world, Jasmine Sambac is native to India and has its use etched in the history of various countries since the ancient times. Mum Well Done gloss ceramic mug. Personalise by choosing a name to be printed onto the mug. Our Stylish 500ml water bottles are made with durable stainless steel, they have a double wall construction for insulation and vacuum seal screw on caps. Keeps drinks hot or cold. Personalise with your choice of name and font. Iridescent single gin balloon glass with your choice of name engraved onto the glass. Iridescent single wine glass with your choice of name engraved onto the glass. Nothing says I love you mum like a personalised card. Treat her this Mother’s Day.